A 100th Birthday Party to Remember!!! I was so excited to attend the Saanich Observatory’s centennial celebration today! 100 years is an incredible milestone, but what makes it even more special is the story of how it all began. Construction of the observatory began in 1914 under the leadership of Canada’s top astronomer of the day, John Stanley Plaskett. Two years later, the site was ready for the telescope’s 9.5-tonne polar axis. It took 12 draft horses a day and a half to cart it to the top. The final piece needed was an enormous Belgian-cast glass mirror that was carefully turned on its side and rolled like a dime into the Observatory. There it was silvered and mounted in place and the observatory captured its first images on May 6, 1918. This Sunday will be the anniversary of the first day data was received from space by this amazing piece of equipment. It may surprise you that this old telescope is still used today for cutting-edge scientific work. A state-of-the-art digital back-end is now strapped to its enormous mirrored eye, making it 10,000 times more sensitive than when first built. Mr. Plaskett obviously believed in the importance of science, but he also firmly believed that public access to science was just as important. For over a decade, the federal government funded excellent public-outreach efforts at the observatory. In 2001, it built an interpretive centre, the Centre of the Universe, and invested in public outreach. That investment led to many activities, including public Saturday night star viewings, sci-fi movies projected on the side of the observatory, regular busloads of people on heritage and tourist visits, intensive youth summer camps and tens of thousands of public visits and school class trips. Many children benefited enormously from witnessing high-level science in action and learning about the universe from top NRC staff and scientists. Many young people have been inspired to pursue the sciences from their experiences at the Saanich Observatory. 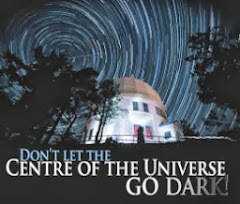 All of this outreach came to a crashing halt with an announcement by the federal government that, for the first time in its history, there would be no public access to the Saanich Observatory. 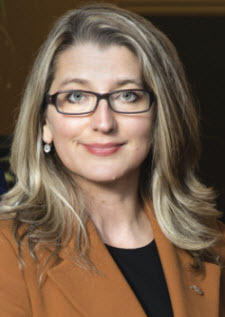 The change was described by the government as a cost-saving measure, even though the expense was a minuscule 0.02 per cent of the $950-million NRC budget. But the story didn’t end there! Thankfully, our community came together and rallied to save this gem of an institution. My non-partisan community office worked with local educators and community leaders, heritage experts, UVIC professors and members of the public over many months to restore public access to the Centre of the Universe. The abrupt closure had an unintended consequence: it sparked thousands of people to learn about what they were losing and they soon came together to push for a better outcome. Media coverage of the impending closure led almost 1,000 people to try to visit on the final public night — and almost every one of them signed a petition calling for funding of public access to be restored. When you wish upon a star in Saanich it seems that dreams really do come true! In 2014 Volunteers with the Royal Astronomical Society of Canada (RASC) began setting up their telescopes for public gazing throughout the summer, and there were public tours of the Observatory itself. Momentum started to build and an organization called Friends of the Dominion Astrophysical Observatory Society, a non-profit, was formed and from there we have seen amazing things happen! To this day, I am amazed – and exceedingly grateful – to our entire community for their efforts to re-open the Observatory for everyone to enjoy. I’ll soon be announcing more details about an event I’m holding to celebrate 100 years of space science in Saanich! Continue to watch my blog for more updates, but it will involve my new community office, the Observatory, local Saanich South artists, and of course, local food! In the meantime, I would encourage all community members to visit the Centre of the Universe for themselves. The Friends of the Dominion Astrophysical Observatory (FDAO) and RASC Victoria Centre are hosting twenty Saturday evenings at the DAO, featuring guest speakers, solar and nighttime observing with telescopes provided by RASC Victoria Centre volunteers, tours of the historic Plaskett telescope, and more! Happy 100th Birthday to the Dominion Astrophysical Observatory! P.S. Here is a video link from 2013, the last night of public access....or so we thought!